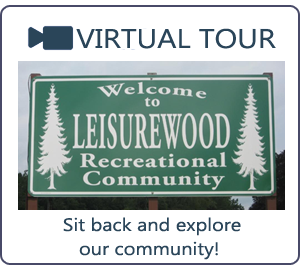 Welcome to Leisurewood Recreational Community - Leisurewood Campground, Inc. 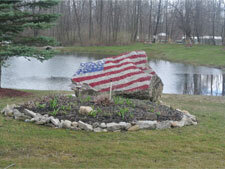 Located in the center of the beautiful Great Lakes Region, Leisurewood Campground is twenty five (25) miles from downtown Buffalo and fifty five (55) miles from Rochester. It's proximity to major highways makes it easily accessible and an ideal base from which to explore the colorful Great Lakes Region. Within a short drive you will find casinos, race tracks, golf courses, world famous Niagara Falls, wineries, sporting arenas, shopping areas, movie theaters and restaurants. 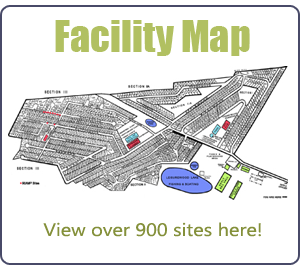 We have 910 sites (modern RV's) located on 150 acres of prime wooded and open land. Operational Season: May - Columbus Day. No arrivals after October 10th. We do NOT rent cabins or trailers. No tents or popups allowed. We rent campsites for a week or longer. 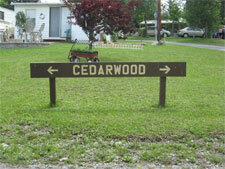 Please note: This is the ONLY official and authorized website for Leisurewood Campground. 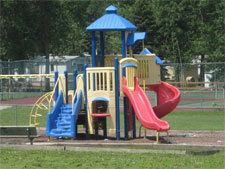 We have lots with trailers and vacant lots available for rent or lease. Experience the great amenities that will make your stay fun and memorable. Bingo, Shuffleboard, and pancake breakfasts are only a few of the activities that we offer!